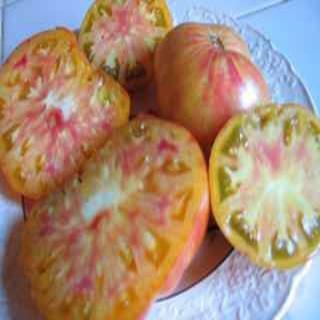 Peppermint Heirloom Tomato. Very productive 16 to 24 ounces. Yellow with very dark red streaks. Heirloom seed packet. Very productive 16 to 24 ounces. Yellow with very dark red streaks.